The costs of buying cars online is becoming a very popular way for people to obtain new vehicles. The ability to see a wide range of vehicles from all over the country and select the best car that suits them for function and price. People frequently forget, when buying cars online, they must also pay delivery costs to their homes if vehicles are not located nearby. Car shipping rates can vary widely, so it's a good idea to contact the seller and check their exact location. Some sellers will be happy to arrange delivery for you, in which case you need to factor in the delivery costs to the total price of the vehicle. 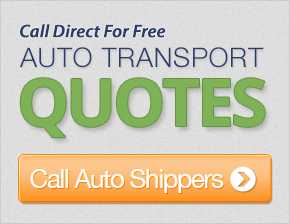 If you find that, when buying cars online, the delivery costs seem a bit high, you can, of course, contact a car shipping company and get a quote for delivery costs on your own accord. If you are willing to shop around, you can get a better deal on the delivery costs and your efforts can really pay off. If you don't have prior experience of buying cars online on sites like eBay Motors, you could fall into the trap of making a purchase which costs more to ship than the vehicle itself. Especially with low priced cars and trucks, avoiding this dilemma is difficult. However, by exploring the many different deals available on the Internet, you should easily be able to find a car online for a great price.